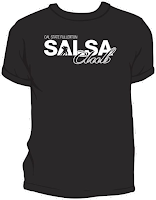 CSUF Salsa Club is a non-profit student organization associated with Cal State Fullerton campus. 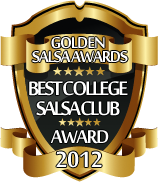 We believe in building solid relations with the salsa community and hope to provide a vibrant salsa scene. We are salsa enthusiasts who love listening and dancing to salsa. 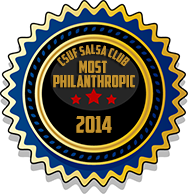 We spend a majority of our time going to salsa events and planning salsa activities. We invite everyone to our extended family. Through the experience and direction of our coach Kazumi DeVries, we believe we can succeed in giving back to our beloved scene. We look forward to enjoying your company and some good salsa dancing! We try to keep costs low so it doesn't cost an arm and a leg to learn and dance salsa. We hope to support and encourage members to become the dancer they've always wanted to be. We believe in quality instruction so that you can "dance with confidence" and learn from the best in the industry. We are dedicated to setting a high standard so you can maximize your skills, time, and energy. 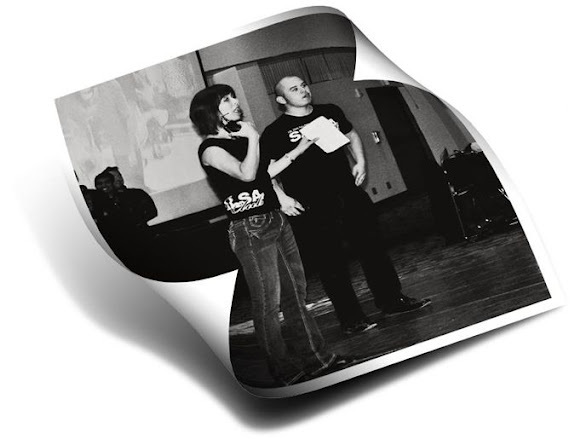 In the beginning, the current salsa club at Cal State Fullerton was called, "Candela". It was a struggling club of over 2 years with a peak membership of 25+. The current president was on his way out and very few members showed interest in maintaining the club's leadership. Knowing the hard work that lay ahead, Joshua Mendoza became president and took on the responsibility of reviving salsa @ CSUF. He was determined to increase club membership and to improve the club's success. 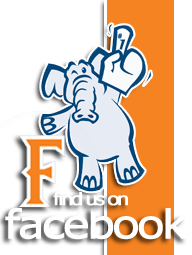 Kazumi showed prior interest working with CSUF but communication was poor between the former executive board. 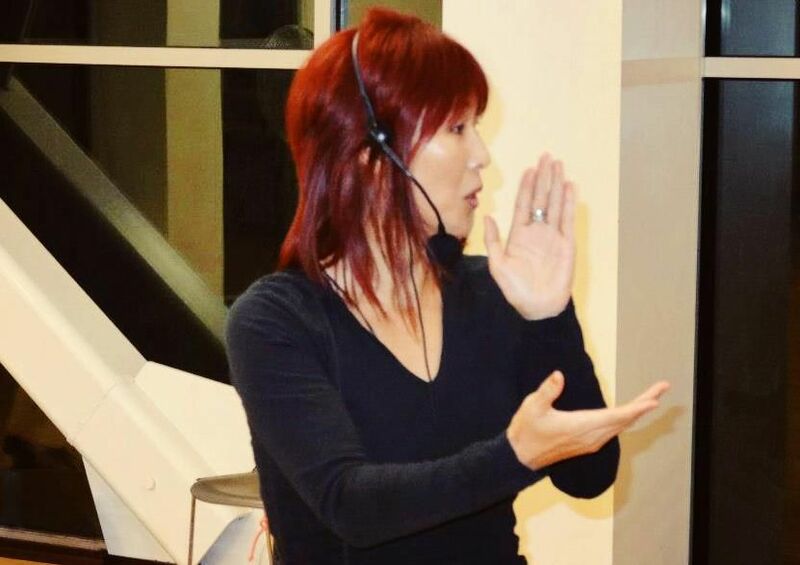 Kazumi had given up contact and went on to continue hosting her successful Clave Lab Social in Fountain Valley. Determined to build a formidable club, Josh sought out advice from Kazumi DeVries. 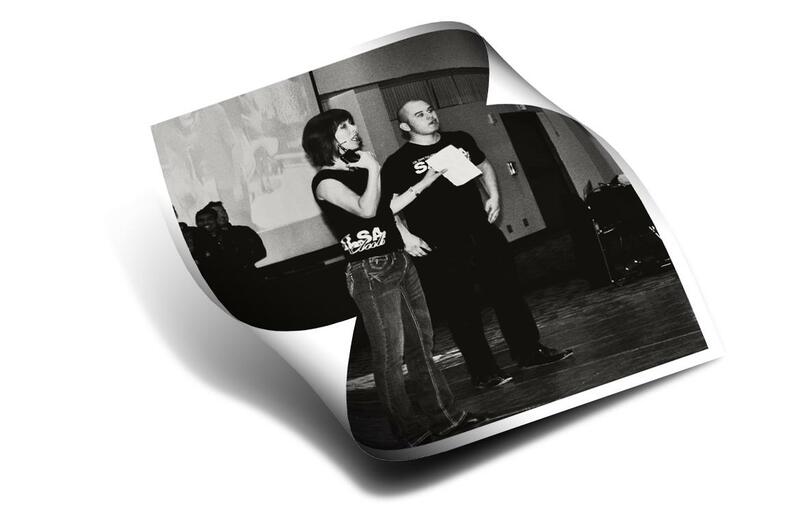 Soon after, Candela dissolved and a new salsa club was born, the CSUF Salsa Club. and to provide support and the opportunity for dance sport competitions. Calvin Nguyen, a graphic designer, was asked to produce a flyer for CSUF Salsa Club by the current president, Joshua Mendoza. He agreed to donate his time and effort to the club. Funny Insight: Calvin Nguyen produced the flyer under a time constraint and had no clue that Josh would use it as the official club logo. If he would've known, he said he would probably dedicate more time into it. The logo was later approved by Joshua Mendoza, Kazumi DeVries, and the current board. With a pending contract, little semblance of an organization, and no guarantee of a set wage or rooms she agreed to teach for the CSUF Salsa Club. She agreed under the condition that the club will continue to pursue its founding principles and that we would eventually afford to pay her, her prevailing rate. Insight: Joshua the club founder says, "She put on the line her reputation, time, and expense to pursue her love of dance and the opportunity to impact people's lives. I promised to honor her request and make her proud of our club". Kazumi DeVries, Willie Watana, Stephanie Stevenson, Kimberli Flores, Angel Lebron Y Su Sabor Latino, DJ Alex, DJ Angel, DJ Victor Rumbero, DJ Dario, Violeta Anderson, Omar Guttie, Salsa Intocable, Iriyali Herrarte, Reflejo Dance Company, Ritmo y Magia Latina, Rodrigo y Selene, Tony "Streets" Calles, Jorge Contreras, Yukiko & Abraham, David Nieto, Charlene Rose, Grizzly Hidriago, Jennifer Silvas, Andy "Lyrik" Cruz, and Capoeira Mandingueiro.